Fiona Hepper has been Deputy Secretary for Education Policy and Children’s Services at the Department of Education since 25 February 2019. In this role Fiona has responsibility for a range of education policy areas including Youth and Early Years Services, Curriculum, Qualification and Standards, Inclusion and Wellbeing and Collaborative Education and Practice, plus the Education Transformation agenda. Prior to moving to this post from December 2013 Fiona held the post of Deputy Secretary for Resources, Reform and Infrastructure in the Department of Education. John was appointed as Deputy Permanent Secretary in the Department of Education in September 2014. He is the Senior Responsible Owner of the Strule Shared Education Campus Programme, a pioneering approach to delivering education in the region that will see six schools and 4,000 students educated on one campus. John has a degree in Mathematics and is a qualified accountant. He spent many years in finance roles in local authorities in the north east of England and London. Following a spell in management consultancy he joined the NICS in 2004 in the then Department of Finance and Personnel. In 2006 John was appointed Finance Director in the Department of Agriculture and he held this post until 2011 when he moved to the equivalent post in the Department of Employment and Learning (DEL). John left DEL in 2014 to take up his current post in DE. 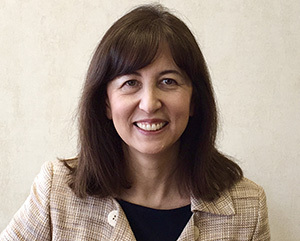 Lianne Patterson has been Deputy Secretary for Resources, Reform and Infrastructure at the Department of Education since 8 March 2019. In this role Lianne has responsibility for Finance, Investment and Infrastructure, Area Planning, Admissions and Shared Campuses, Corporate Services and Governance, Analytical Services and Education Workforce Development. Lianne is a Chartered Accountant and previously worked in Deloitte and PricewaterhouseCoopers before joining the Civil Service in 2005. She was previously Deputy Secretary in the Department for Regional Development and prior to taking up her current post was the Director of Justice Delivery in the Department of Justice.